An investigation revealed 7 drugs in his system along with multiple prior DWIs. Last summer, Alfred “Skip” Nichols piloted a hot air balloon that crashed in Texas, killing himself and 15 passengers. The National Transportation Safety Board (NTSB) has been investigating the accident, and according to documents prepared in advance of a recent hearing, Nichols ingested a cocktail of narcotics prior to the flight, including oxycodone. The tragedy occurred on July 30, when a hot air balloon (controlled by Nichols) crashed into power lines near Lockhart, Texas. The collision killed everyone on board, including Nichols. The accident has raised a lot of questions about Nichols, and if he should have been allowed to operate a balloon in the first place. Hot air balloons are designed to fly in clear conditions, and as evident in pre-flight photos taken on board the balloon, the weather was anything but clear. Nichols was even warned by an FAA weather station that clouds and foggy conditions could present a major problem for the craft. During the hearing, the NTSB polled a panel of six hot air balloon experts, and all six said they would not have flown in those conditions. But that’s not the biggest concern. Nichols and 15 fellow passengers died after their hot air balloon collided with power lines on July 30. The NTSB’s investigation also uncovered that Nichols previously served two stints in prison for drug- and alcohol-related infractions. Additionally, he was undergoing treatment for multiple medical conditions that should have kept him grounded. 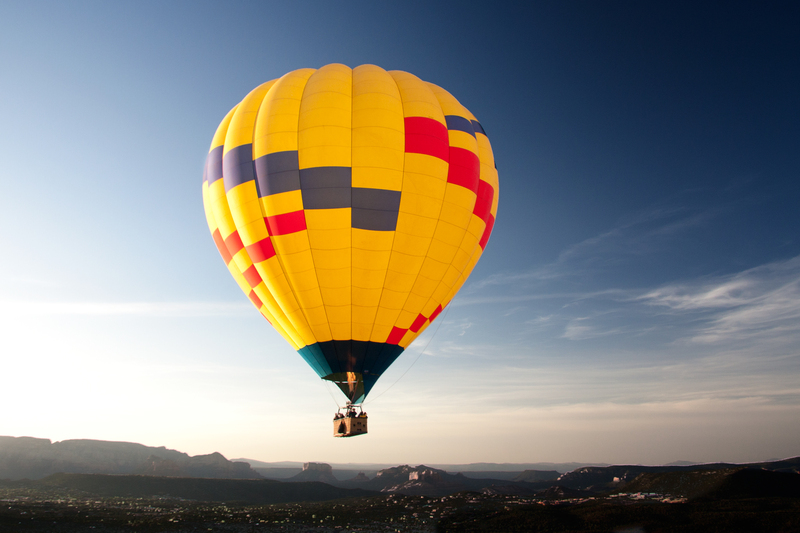 The hot air balloon industry is regulated by the Federal Aviation Administration. The NTSB has urged the FAA to put more stringent regulation in place, providing hot air balloon riders the same level of safety as passengers on a helicopter or a touring airplane. However, the FAA has declined to change industry regulations. Balloons are traditionally very safe, and prior to this accident, the FAA recorded only four deaths in the last ten years. Instead of adding more stringent regulations, the FAA is preferring to allow the industry to govern itself and decide what regulations are best. As part of the investigation, the NTSB discovered that Nichols had a multitude of health issues, and as a result was on several medications that should have prevented him from piloting a balloon. He also had five convictions for driving while intoxicated in addition to three drug-related convictions. Investigative documents compiled by the NTSB detail that Nichols suffered from multiple health problems — including type 2 diabetes, depression, and chronic pain from fibromyalgia. As part of his treatment, Nichols was prescribed 13 different medicines, which should have prevented him from flying any aircraft. Following the accident, a toxicology report revealed that at the time of the flight, Nichols had seven different drugs in his system that were prohibited by the FAA because they were known to impair motor control and brain function. The balloon caught fire before the craft crashed, killing all 16 on board. So why was Nichols allowed to operate a balloon? The FAA and the NTSB are only allowed to act on violations less than six months old and Nichols most recent conviction occurred in 2010. U.S. law requires all pilots (including those operating balloons) to report any such violation; Nichols did not. As such, the FAA didn’t find out about them until 2013, and unfortunately the current rules prevent the agency from being able to take any action against Nichols. Unlike airline pilots, balloon pilots are not required to receive routine medical exams, which means the agency is less likely to discover the narcotic cocktail Nichols was on. Currently, balloon pilots can obtain a license to fly passengers after only 20 hours of training, and are not required to participate in any sort of continuing education or training program. In order to help prevent future incidents like this one, the NTSB is encouraging the FAA to enforce mandatory medical checks and implement ongoing education.